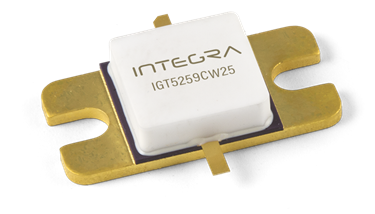 Integra Technologies introduces the C-band IGT5259CW25 transistor with GaN on SiC HEMT technology exhibiting 12 dB typical gain and 48% drain efficiency. It is ideal for applications operating in the 5.2 – 5.9 GHz frequency range. This depletion mode device is 100% high power RF tested in a 50Ω RF test fixture. 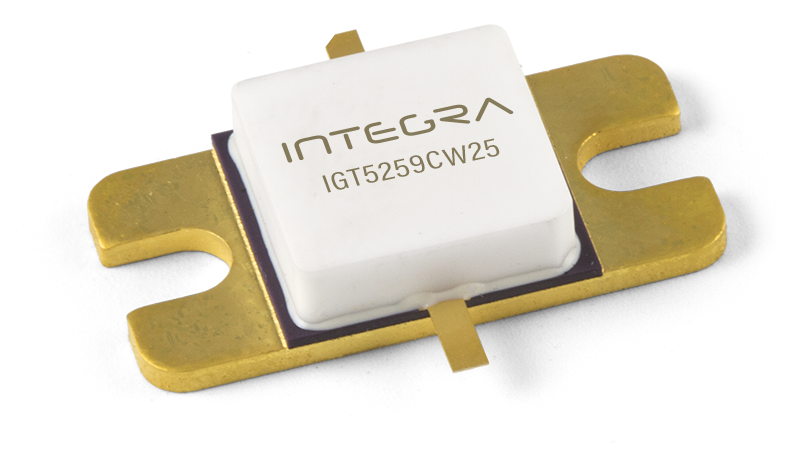 The IGT5259CW25 transistor is an internally impedance matched device, and requires negative gate voltage and bias sequencing. It is housed in a metal based package sealed with a ceramic-epoxy lid. For more specifications on the GaN C-band 50Ω transistor, download the datasheet.